Setting a budget and staying on budget are two different goals that we want to help you with. We've heard too many horror stories about projects going unfinished or underfunded. 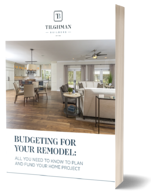 Fill out this form to get your free eBook and learn how to plan and fund your home remodel. What work needs to be done? What's most important to you? Write down your priorities so if unexpected costs hit your budget, you'll still get the top things on your list done. What do you want most? A new bathroom? More storage and a mudroom? Write it down. 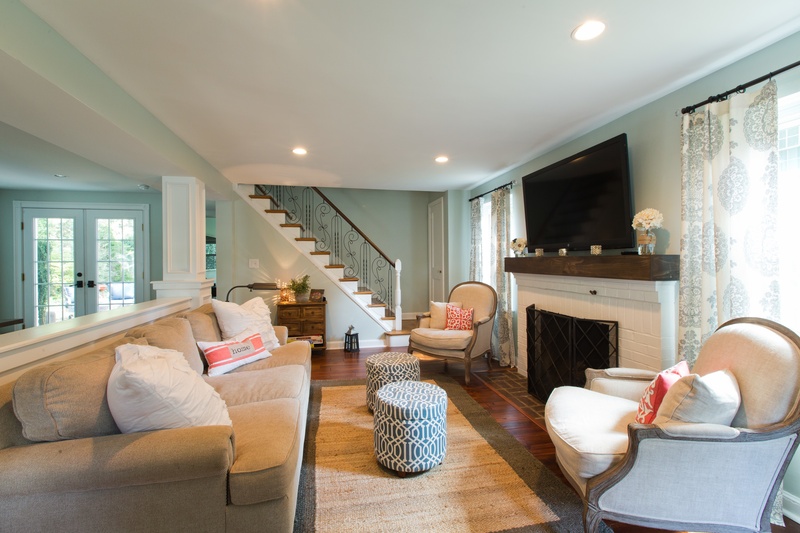 Check out our blog Creating a Home Remodel Wishlist. Start with what needs to be fixed. If something doesn’t work, it should be at the top of your remodel list. Next, consider long-term plans. After the immediate fixes have been taken care of, set some long-term goals. If you are planning to sell in a few years, consider additions that’ll improve your home’s property value. If you’re in your forever home, think about improvements that will allow you to grow into your home. 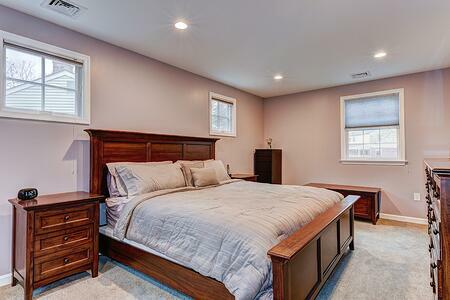 A master suite addition typically returns more than half your investment. Need inspiration? Check out these master suite trends. If you don't have the cash for a functioning addition, consider reconfiguring your existing footprint if possible to make more space to expand your master closet or building a master suite over your garage. 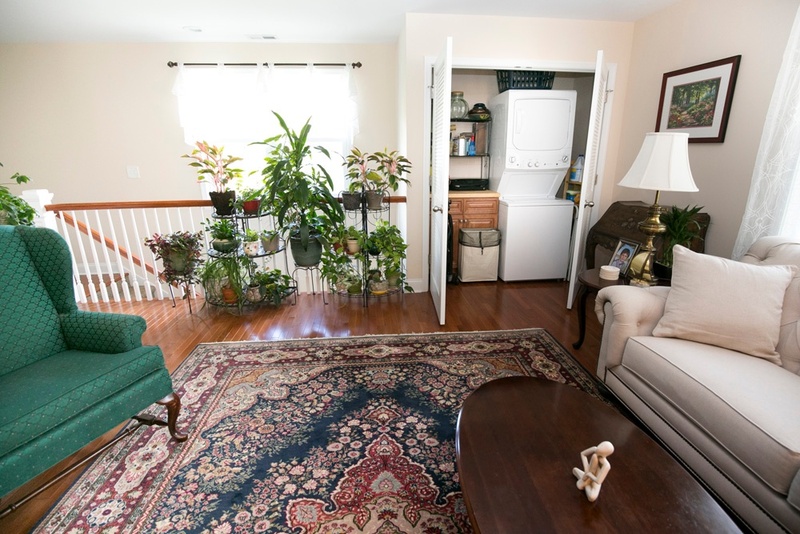 A new open space for family gatherings makes your home much more livable. Although a family room addition could be expensive, especially if you’re adding exterior footprint, you’ll recoup more than half your costs in added home value. Replacing your old windows will return as much as three-fourths of your initial investment. You’ll also get a boost in energy efficiency, especially if your old windows are single-panel glass or excessively drafty. Another important benefit of window replacements is safety. Learn more about the benefits of window replacements here. Increase your home’s livable footprint by adding a wooden deck — and recoup around 80% of your investment. Patios and decks add usable square footage at a fraction of the cost of a family room addition, but also give you great space for family and friends to enjoy together. Contemporary siding represents a huge upgrade over early versions that didn’t perform very well. Plus, it’s a sound investment because you’ll recoup around 80% of your project costs in added home value. And don't forget the added bonus of curb appeal! 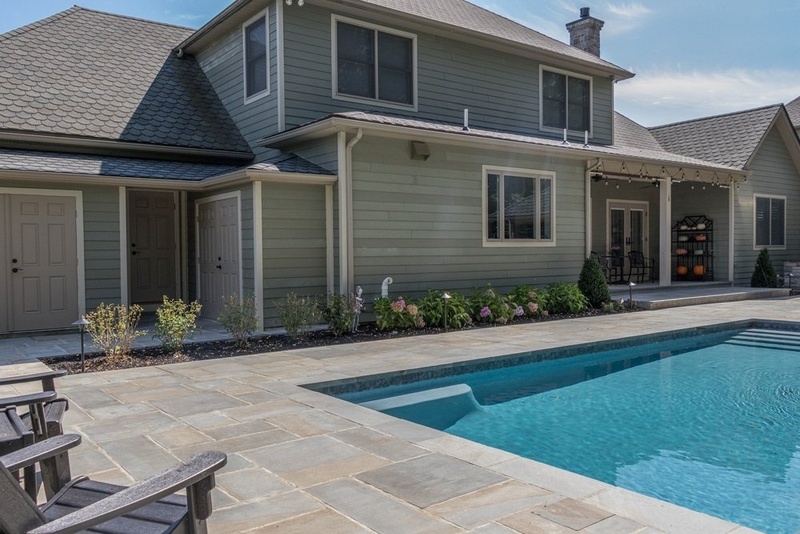 Modern versions of stone veneer are durable, beautiful and natural-looking. Adding veneer around the bottom third of your home’s exterior will return nearly your entire investment. Take a look at your finances to determine this limit for your project. Work with a financial advisor to figure out what funds are available to you realistically so you can plan your project priorities. How long do you plan to stay in your house? Only spend what you think you will get back when you sell the house. If you plan on living in your home longer than five years, you should do a remodel that will make you and your family the most comfortable and will compliment your lifestyle. Is it modest, or upscale? Don't over-improve unless you plan to stay in your home for a long time. 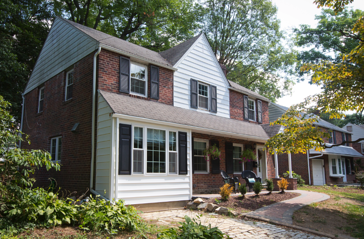 Many people ask us "What does a home addition cost?" The size of the addition, and the overall use of the final space, can greatly affect the price range. For example, a small addition on the back of the house, such as a 10'x12' space to expand a living room, could average $60,000. A large 2-story addition, that doubles the size of the house and adds a master bedroom and bath, PLUS a new kitchen and living space, can go up to $400,000. 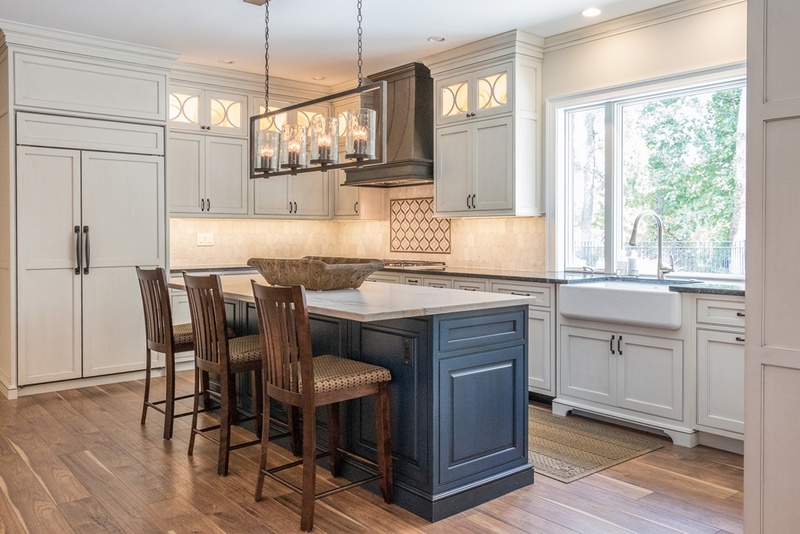 Every homeowner dreams of having an impressive kitchen, and overhauling yours will give you a reliable bump in home value. If we are removing walls and changing the structure of the eating and dining areas, with a new footprint and all new finishes, the price can range from $75,000 - $125,000. 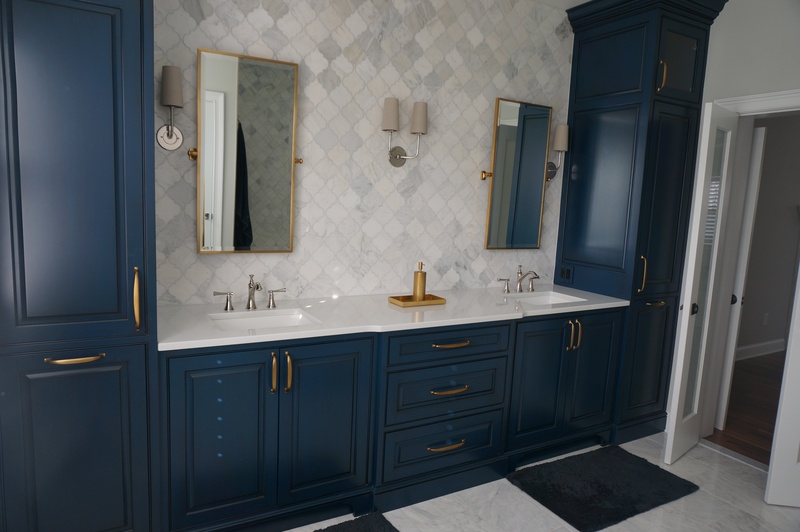 Bathroom remodels often don’t bring the highest returns simply because they’re expensive to begin with, but if you’re adding a second bath where you only had one before — or if you’re operating in a hot real estate market — remodeling can be a very smart move. To remodel a smaller hallway bath, where the plumbing stays in place, you could spend from $16,000 - $25,000. To rebuild or create a master bath, where we are expanding walls and moving plumbing, you could spend $35,000 - $70,000. 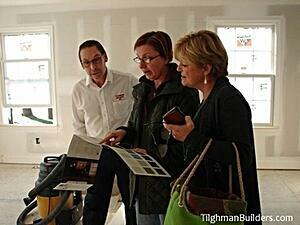 We have a whole guide on how to find and choose a contractor. WHERE WILL YOU BE DURING THE REMODEL? Take into account the cost of an apartment or hotel, storage fees and moving fees. If you plan to stay in your home during construction, a good contractor will have a plan in place to transition your family from using certain rooms during different stages of construction. You could also set up a temporary kitchen in an adjacent room, and you should add in the cost of doing this. Figure out how much you have to spend. Once you’ve zeroed in on a project, the next question is whether you have the money. If you’re paying with cash from your personal funds or an inheritance, that’s easy to answer. But if you’re borrowing, you need to assess how much a bank will lend you and what that loan will add to your monthly expenses. 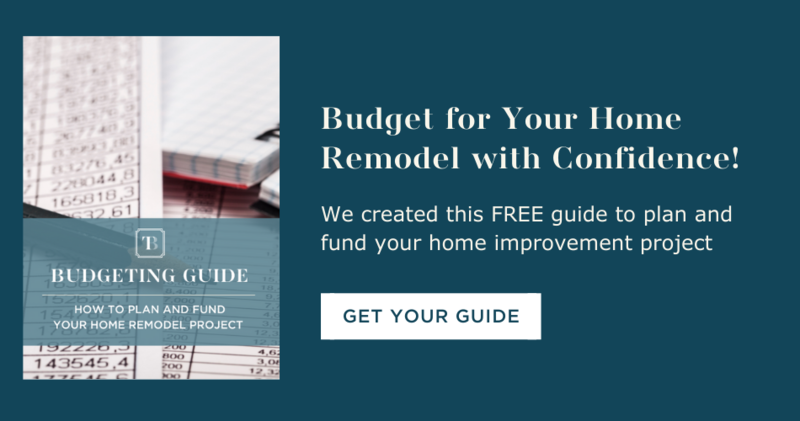 To make a smart plan for financing your home improvement project, you need to understand what your financing options are, so you should meet with an advisor. The majority of your options and rates are determined by your own qualifications - such as credit scores and debt-to-income ratios, and meeting in person will help you to understand those factors. Also, you shouldn’t leave your lender’s office until you are clear on what your monthly payments are going to be. Figure out how much you have to spend. Once you’ve zeroed in on a project, the next question is whether you have the money. If you’re paying with cash from your personal funds or an inheritance, that’s easy to answer. But if you’re borrowing, you need to assess how much a bank will lend you and what that loan will add to your monthly expenses. Bring your income documents such as your W-2 forms from the last two years, last month’s pay stub, two most recent complete bank statements which would include a 401k or any retirement plan and a copy of your driver's license. When you meet with a lending advisor, most have a short pre-approval process during your meeting, where you can expect a ballpark number of what you would be qualified for in a mortgage. From start to finish, the process for you to apply for lending and actually close on that loan is about 45 days. This is important for you in planning your project. Put your budget and how much you’re spending on spreadsheets so you can keep tabs on how much you are actually spending. A reputable contractor will have regular meetings with you throughout the process, to keep you in the loop on any plan adjustments, reallocations, or additional expenses. Set aside 20% of your budget to cover the unexpected. Leave some wiggle room in your budget to cover these surprises. Avoid extras! Don’t be tempted to deviate from your budget mid-project. For the vast majority of homeowners, the best way to borrow for a home improvement project is a home equity line of credit. A HELOC is a loan that is secured by your home equity, which means that it qualifies for a lower rate than other loan types, and you can deduct the interest on your taxes. This type of loan happens when the homeowner uses the equity of his or her home as collateral. The loan amount is based on the value of the property. The FHA 203k renovation loan program provides buyers or refinancing households the funds for both the purchase and renovation of a home packaged into one mortgage loan. Renovation loans are based on the value of your home after improvements, rather than the current value. This means, if you have a plan to add an addition on to your house, your mortgage loan amount is based off the value of the home with the addition. This means you can get more money from a loan if the changes you plan to make are “improvements.” Once the purchase of the home is closed, renovation funds are held in escrow to pay for pre-determined renovation work done by approved renovation contractors. This is a refinancing of a current mortgage loan. The new mortgage loan is for a larger amount than the existing amount and you get the difference between the loans in cash. Need additional information? We're happy to help!